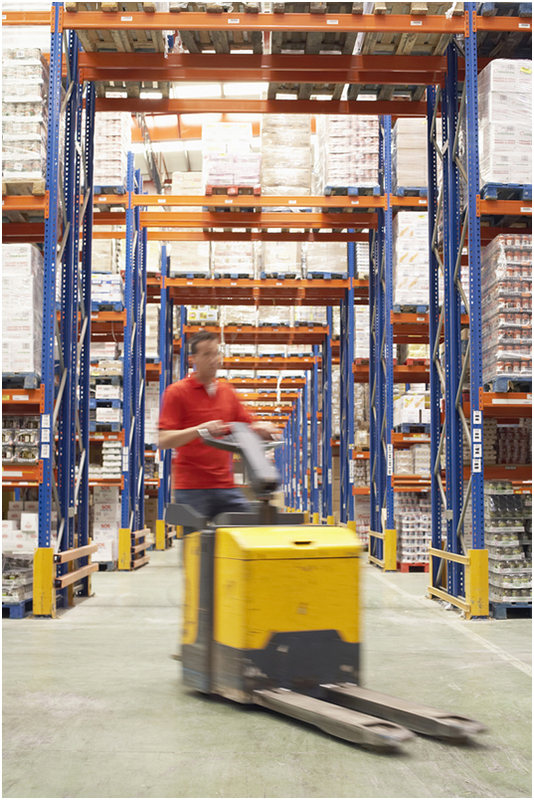 Knowing how to identify each part of your warehouse racking is vital for safe use. In this guide, we break down how to do so. 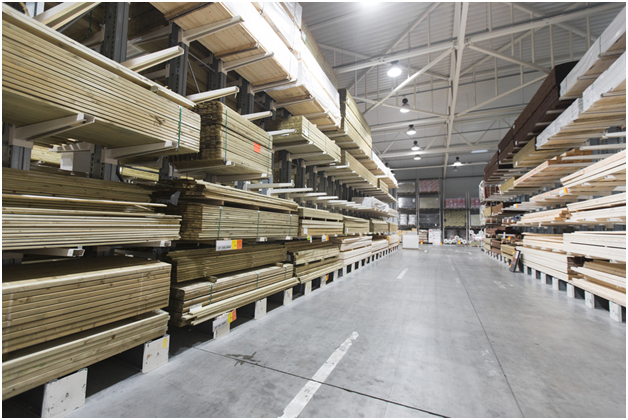 Pallet racking suppliers across the UK sell a range of industrial racking and steel storage. 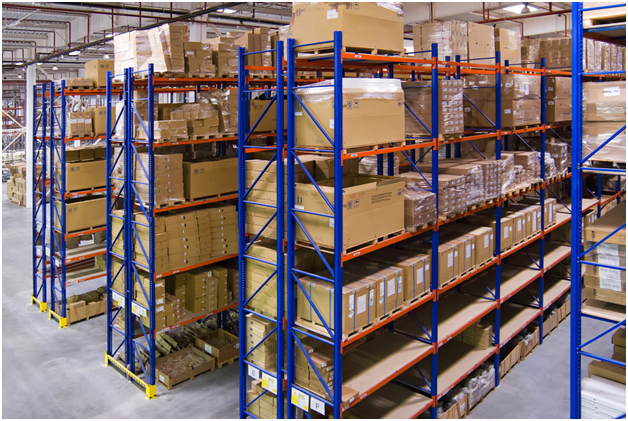 Should the racking in your warehouse need replacing, it’s vital to know how to spot a reputable pallet racking supplier. As well as providing racking inspection training for potential future SARIs, SEMA also has a list of approved suppliers. Going with pallet racking suppliers or any kind of industrial racking and steel storage suppliers approved by SEMA guarantees that your racking system will be structurally safe. This, of course, is providing that you follow best practice from both SEMA and HSE during the life of your system. According to SEMA load notices on all racking systems, you should contact your supplier if you are at all unsure about best practice for using their system. Reputable pallet racking suppliers will happily answer any questions you might have about their storage equipment. Alternatively, you can always contact us. At Storage Equipment Experts, we provide FREE consultation on racking inspections services and storage equipment related questions. Contact us today for a chat about your warehouse racking system. Not all warehouse racking is the same. 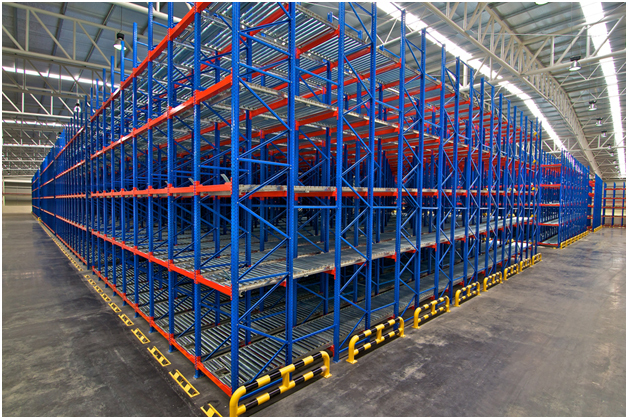 The different kinds of warehouse racking need to be identified so that you can best use them safely. Adjustable pallet racking is the most common kind of warehouse racking system. It consists of upright frames and vertically adjustable (hence the name) horizontal beams. Adjusting these beams allows you to store things at different heights. 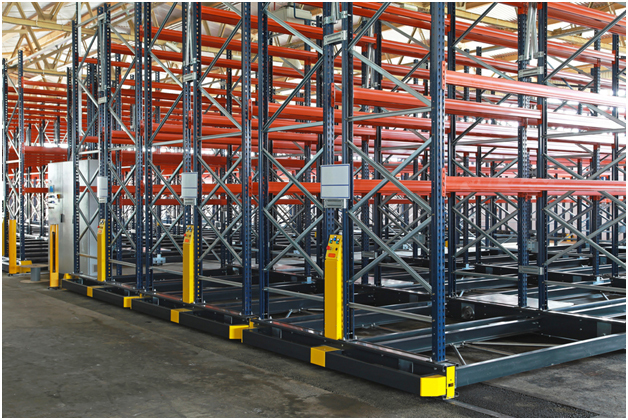 The reason for adjustable pallet racking’s popularity is its versatility. However, this versatility shouldn’t be abused and the product should never be modified beyond its specifications. If that happens, the product’s safety can no longer be guaranteed by the manufacturer. A mezzanine racking system is a racking system with a set of stairs which can be used to reach higher levels. 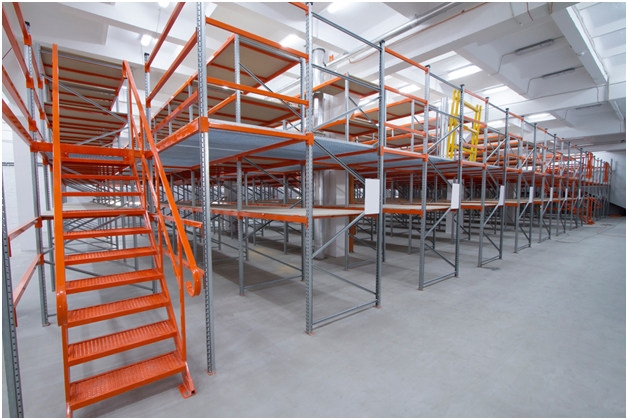 Mezzanine racking systems are the only kinds of racking system which can be climbed on. However, even then, precautions need to be taken. Mezzanine racking systems still have a load bearing capacity (for people and equipment) and this should be clearly displayed. Mezzanine racking systems also require guard rails which are at least 950mm in height to reduce the risk of slips, trips and falls. Drive-through racking is warehouse racking which is designed to be driven through by warehouse vehicles such as a forklift. Drive-through racking creates a kind of arch which forklifts can drive through. It’s not necessary for all warehouses which use forklifts, but it’s a great option for some. For more information on the legal requirements for forklift use in the UK, refer to the Lifting Operations and Lifting Equipment Regulations (LOLER) 1998. Because drive-through racking often has vehicles driving through it, it’s vital that businesses take every possible precaution to protect their racking from impact. This is why racking upright protectors and racking protection barriers are so important. For years, people have been using racking protectors and racking protection barriers as the first form of defence. When a forklift has hit them, people have ignored this near-miss and carried on. However, these near-misses are also extremely dangerous and warehouses should operate so as to avoid any vehicular contact. Racking upright protectors and racking protection barriers should be thought of like crash helmets. They are important and everyone should use them, but they are not the first form of defence against crashes. Rather, best practice should be the first form of defence. A roller racking system is another kind of adjustable warehouse racking system. Roller racking systems are placed on rails so that users can move the entire racking system along the rails. These systems are a great solution for businesses which need to move their storage systems for whatever reason. They allow a warehouse to change its layout from week to week if needs be. However, because of the increased number of parts, extra care needs to be taken to make sure that roller racking systems are properly maintained and properly used. Roller racking systems can also refer to pallet racking systems with roller conveyor systems on the shelves instead of pallets. These systems are recommended for warehouses with a high turnover of products. However, extra care should be taken to keep these rollers in working order. What’s more, the rolling system means you need to be a lot more vigilant about storing items correctly. Cantilever racking systems are built using the cantilever principle in engineering. They consist of an upright in the middle of the structure and two arms jutting out at either side (sometimes one arm) instead of shelves. These arms are designed specifically to store long, thin objects like timber. Most other warehouse racking systems are variations on the popular pallet racking system. However, cantilever systems are a completely different breed of warehouse racking system. As a result, they require specialised knowledge to inspect. At Storage Equipment Experts, we have one of the few SEMA approved racking inspectors in the world who has passed both the SEMA approved pallet racking inspection course and the SEMA approved cantilever racking inspection course. For SEMA approved pallet racking or SEMA approved cantilever racking inspections, contact Storage Equipment Experts for a quote and FREE consultation.